Our company is widely engaged in offering its clients an excellently fabricated and manufactured range of these best quality Measuring Equipments. These can be procured from us in the most comprehensive prices. 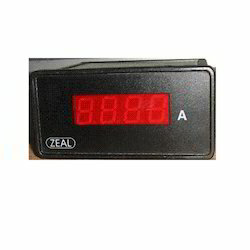 In this range we have a wide variety of products to offer such as Digital Ammeters, Nano Ampere Source, Digital Power Analyzer, Tachometer Calibrator and Digital Power Analyzers. All these instruments have been manufactured by us as per the industrial guidelines. Being a customer focused organisation, we are offering a qualitative range of Digital Panel Meters. The offered range of digital panel meters is manufactured by our expert professionals using premium quality raw material and components that are sourced from the authorised vendors of the market. These panel meters are very durable and capable of withstanding energy fluctuation. Looking for Digital Panel Meters ?